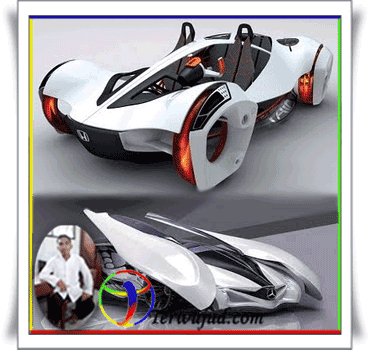 Car is a kind of moving ground vehicles using engine power. The characteristics of the car can be characterized by four or more wheels (always even) and typically use fuels such as petrol and diesel oil as a tool that serves to start the engine. 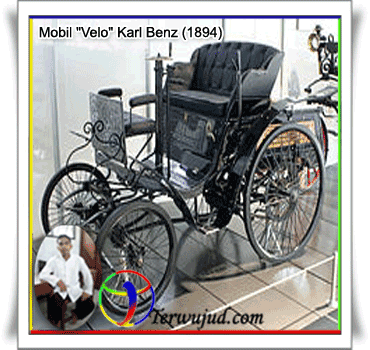 Short car automobile derived from the Greek autos with its own meaning and the Latin movere means moving. Car as the first vehicle in the history of recorded using steam power was first designed by Ferdinand Verbiest in 1672. Design of the car measuring 65 cm which for Chinese empire and of course the vehicle can not carry passengers because of its small size. In 1752, a Russian nationals named Leonty Shamshurenkov create a human-powered vehicle construction and is equipped with an odometer. The vehicle was very similar to a sleigh. Vehicle or the type of the first steam-powered car was made in the late 18th century for a successful demonstration of three-wheeled vehicle has been carried out by Nicolas-Joseph Cugnot in 1769. The increase in steam-powered cars is growing and is known in Birmingham, England by the Lunar Society and was made in Britain in 1896 by Frederick William Lanchester in addition to the presence of disc brakes. In 1890, the car has also grown in the presence of ethanol as a new source of energy that is made in the USA. With the development and design continues, eventually the car was very advanced technology with complete brake, wheel-specific, multi-energy (steam, gas, solar, and other), discs, features, accessories, display, auto paint, even to the existence of internet and gaming features in it. First automobile patent in the United States gave to Oliver Evans in 1789, then in 1804 Evans demonstrated his first car with steam power that was able to walk on land use in the water using a wheel and wheel panels. The second patent rights granted to George B. Selden in 1895 by the United States with a two-stroke automobile engine types. 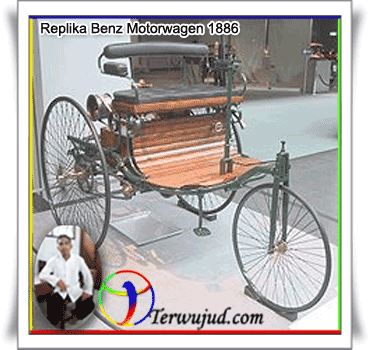 Spectacular breakthrough ensued, it was done by Berta Benz in 1888 were marked by new additions such as the steam engine, electricity and gasoline continue to compete in line with the development over time. 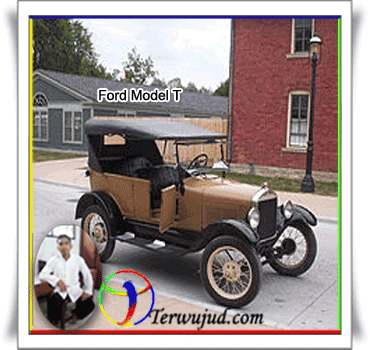 Ford Model T was one of the first affordable automobile consumers (1927). In 1930, many automotive technology has been created, although its creation continues to grow together, but the design and modification continues to be different and more interesting. For example, such as steering wheel and the front wheels are created again by Andre Citroën Traction Avant in the launch in 1934. In the development of many car companies that join and sets out to make a name / label company continues to develop the design and modification of cars, many significant developments seen from the car security systems, technology and its use as developed Bosch by using an electronic tool that serves to exhaust fumes on car with quality design and environmentally friendly. Increasingly significant accident after car technology is made. For the first time a car accident that occurred on Joseph Cugnot steam-powered car crashing "fardier" on the wall in 1770. The first fatal car accident was Bridget Driscoll recorded on August 17, 1896 in London and Henry Bliss on September 13, 1899 New York City. History records that almost every year of an accident that has claimed killed an average of 1 million people and 50 million victims with serious injuries and minor (according to WHO estimates). The main factors causing the accident triggered by circumstances such as drunk drivers and the influence of drugs, not careful, too tired and road factors such as snow, hole, animal and human error. In line with the number of accidents, the design for the security level of the car was made. For the first time, the safety car is focused on improving the quality of the brakes and fire hazard reduction in the fuel system. In addition, standardized tests are also considered by EuroNCAP and USNCAP. Increased car security today already dimodif as possible with a small percentage for each accident, but nevertheless still the number of accidents that occur at any time can not be avoided, because of factors such accidents occur because Erro proven many human and lack of caution in driving the car. In 2008, nearly 80 million motor vehicles, including cars and commercial vehicles produced because of the increasing demands. Since 2007, overall there are 71.9 million new cars were sold worldwide: 22.4 million units in Europe; 21.4 million units in Asia; 19.4 million units in the United States and Canada; 4.4 million units in the Latin American region; 2.4 million units in the Middle East, and 1.4 million units in Africa. Around the world, there are an estimated 806 million cars and light trucks in 2007; burn more than 260 billion US gallons (1 gallon=3.8 liters) of fuel annually. This number continues to rise rapidly, especially in China and India. Some opinions say that the urban transport system that is based on the car will spend excessive amounts of energy, increasing the risk of disease, and a reduction in service despite increased investment. Sustainable transport movement focuses to resolve this problem. The more rapid development of the needs and the number of cars, as it was also an increase in fuel oil, and it is a negative impact on the company car. Some can not stand the car industry and bankruptcies caused by competition and financial continues to increase, estimated 51 factories went bankrupt and closed permanently in the United States. Machine configuration: Wankel or piston engine (V, inline, flat).